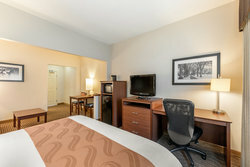 With a goal of offering all of our guests an equal and enjoyable experience, we offer ADA-equipped accommodations for those with additional or unique accessibility needs. Stay in our accessible Queen Bed Suite to enjoy tailored amenities aimed at offering you a stress-free stay. 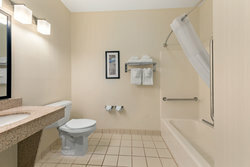 Our in-room bathrooms are designed with functionality in mind, offering you well-appointed amenities such as a versatile showerhead and premium toiletries. Bring the pets along for the ride! For a small additional fee, we welcome you and your furry friends. 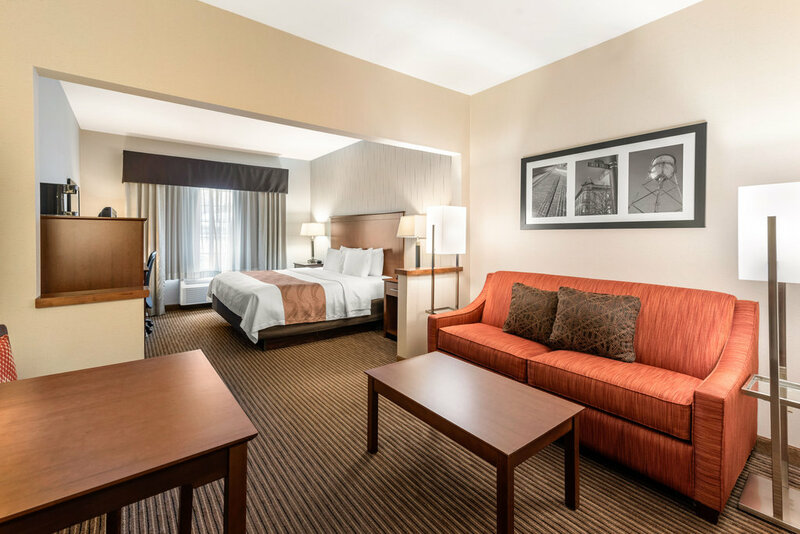 Check out our pet-friendly policies and book your stay today.